View of air pollution in Metro Manila every morning during week days. Two major cause of air pollution are exhausted gas from vehicles and factories. The major contributor of pollution are those old diesel vehicles, like public utility jeepneys and public utility buses. Most of their engines came from old vehicles and some came from old imported vehicles from Japan. Heavy traffic worsen the air pollution even more. In 2015, Philippines was named by Waze app as one of the worst traffic in the world. Undisciplined drivers, pedestrians, and vendors make the traffic worse. Vendors occupy the sidewalk for pedestrians; outer-lanes are used to park vehicle and used by passengers to get a ride; middle lane are used to load / unload passengers; and only one lane are used by passing vehicles. There are laws that will help prevent or ease the air pollution in the country, but they're not properly implemented by the government. 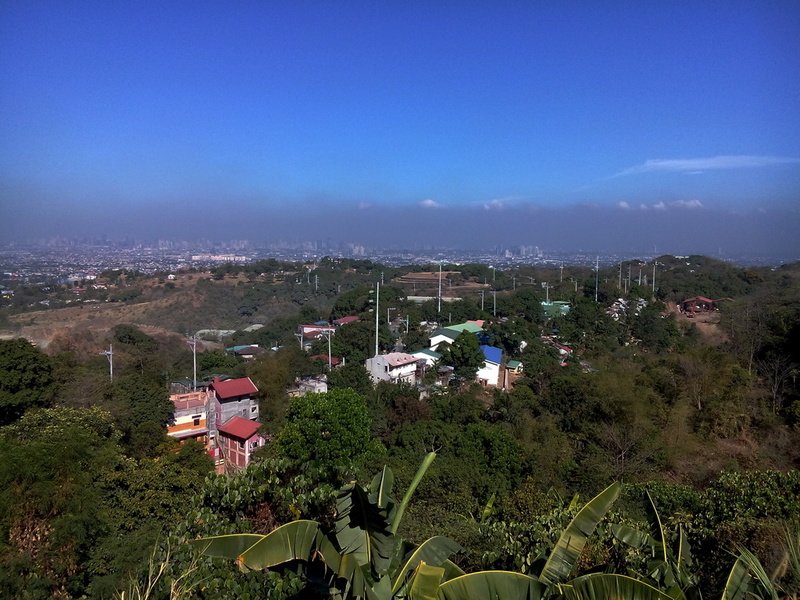 View from Antipolo overlooking in Cabrera Road.